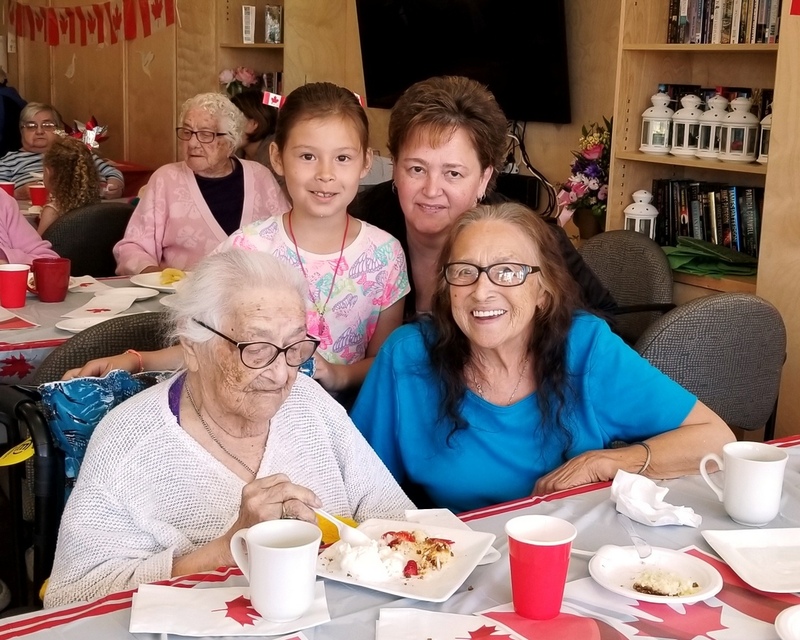 Points West Living Slave Lake celebrated Canada Day when there were lots of people around to enjoy it – Friday July 6. As many as 120 people joined residents and care partners for a barbeque lunch of burgers, hot dogs, salads, sides, drinks and desserts. It was a beautiful day, so some guests enjoyed their lunch with a walk outside in the grounds. Greg Lacombe, the musical maintenance man provided the music, and families provided the smiles.